Tested with G6, 7, and 8 blades. HP Bladesystem C3000 Enclosure Chasis . HP C3000 Balde center System rack mount 6u. buy it now 1 unit, collection only. We will resolve the problem directly with you. 4 blank cover, no blade server included. full fan populated. HP C3000 Enclosure w/ 8x BL460c Gen 7 Server Blades. 16 X 6-CORE XEON X5650 Processors, 96 cores / Logical Processors /192 Threads. 1 x HP C3000 BLADE ENCLOSURE. C3000 ( C7000 enclosure option available). 384GB RAM (48GB /Blade). 16 X 6-CORE XEON X5660 Processors, 96 cores / Logical Processors /192 Threads. HP C3000 Enclosure w/ 8x BL460c Gen 7 Server Blades. 1 x HP C3000 BLADE ENCLOSURE. C3000 ( C7000 enclosure option available). The HP BladeSystem c3000 Enclosure brings new capabilities to HP BladeSystem. ▪1 x HP BLc3000 Server Enclosure 437560-B24 With:-. 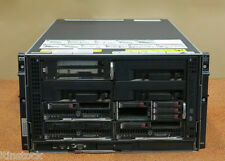 HP ProLiant BL 260c G5, BL2x220c G5, BL460c G6, BL465c, BL465c G5, BL495c G5 Server Blade. 1024GB RAM (128GB /Blade). HP C3000 Enclosure w/ 8x BL460c Gen 8 Server Blades. 1 x HP C3000 BLADE ENCLOSURE. C3000 ( C7000 enclosure option available). N/A C3000 Enclosure. Tested with VMware ESXI 6.0. HP C3000 Enclosure w/ 8x BL460c Gen 8 Server Blades. 1 x HP C3000 BLADE ENCLOSURE. C3000 ( C7000 enclosure option available). N/A C3000 Enclosure. 8x HP PROLIANT 460C GEN 8 SERVER BLADES. 16 X 8-CORE XEON E5-2660 Processors, 128 cores / Logical Processors /192 Threads. HP BLADESYSTEM C3000 ENCLOSURE - NO EARS / RAILS / LCD. Ending Soon. New Arrivals. QUICK LINKS. we do not take any responsibilty after this. Why Choose Us! Audio Visual. 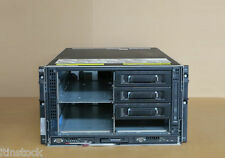 HP C3000 Enclosure w/ 8 x BL460c G6 Server Blades. 1 x HP C3000 Blade Enclosure. 16 X SIX CORE XEON X5650 Processors, 96 cores / Logical Processors /192 Threads. C3000 (c7000 Enclosue option available). 1024GB RAM (128GB /Blade). HP C3000 Enclosure w/ 8 x BL460c Gen 8 Server Blades. 1 x HP C3000 Blade Enclosure. C3000 (c7000 Enclosue option available). 8 xHP Proliant BL460c Gen 8 Server Blades. 1024GB RAM (128GB /Blade). HP C3000 Enclosure w/ 8 x BL460c Gen 8 Server Blades. 1 x HP C3000 Blade Enclosure. C3000 (c7000 Enclosue option available). 8 x HP Proliant BL460c Gen 8 Server Blades. HP VCEM BL-C3000 ENCL E-LTU. We Accept Only. Ending Soon. New Arrivals. QUICK LINKS. we do not take any responsibilty after this. you can buy in set of 6 max. Why Choose Us! AJ 172483, 172484. CS 153011 -4. HP Blade Center c7000 c3000 Cooling Fan Module. LM - SEE RJ. 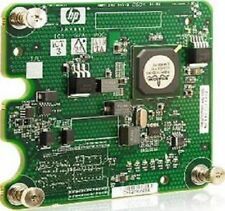 1 x HP C3000 C7000 Interconnect Bay Blanking Plate. Part Number – 414053-001. HP C7000 & C3000 Enclosure Rack Rail Kit. we do not take any responsibilty after this. Monitor & TV. Desktop PC. PC Components. Why Choose Us!